The Best Travel Trailers for a Family of Four - Water. Sky. Land. Finding the best travel trailer for a family of four can be extremely difficult and costly. Most people opt for the easy way to travel by taking a plane and staying in nightly hotels. 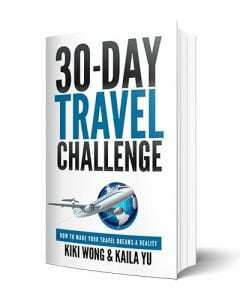 However, if you're looking for a little more excitement for your next vacation adventure, you might want to consider taking it on the road. Road tripping with the family can either be incredibly fun or not something you'd do again depending on your execution. 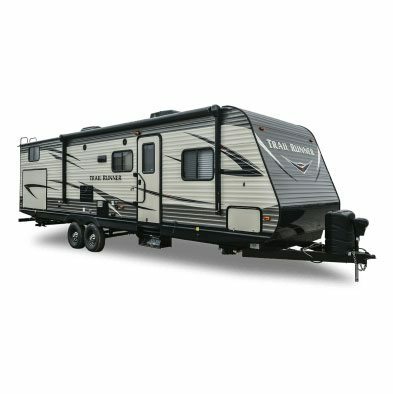 Also, the idea of purchasing a travel trailer may seem pretty damaging to your bank account. Fortunately, there are many awesome rental options you can consider as well as purchasing used trailers. You can find some rental options here and ​cheap purchases on craigslist or any RV retailer. So, you've finally decided to take the risk and go for the bold adventure for your next family vacation. Good move! However, don't let your excitement cause you to make an rash purchase. There are many factors to consider that can make or break your next trip. We did the homework for you and broke it down into these easy categories. When it comes to traveling with the kids, you know you're going to need a lot of space prepared. That's why the Heartland Trail Runner Travel Trailer is one of the best choices on the market. 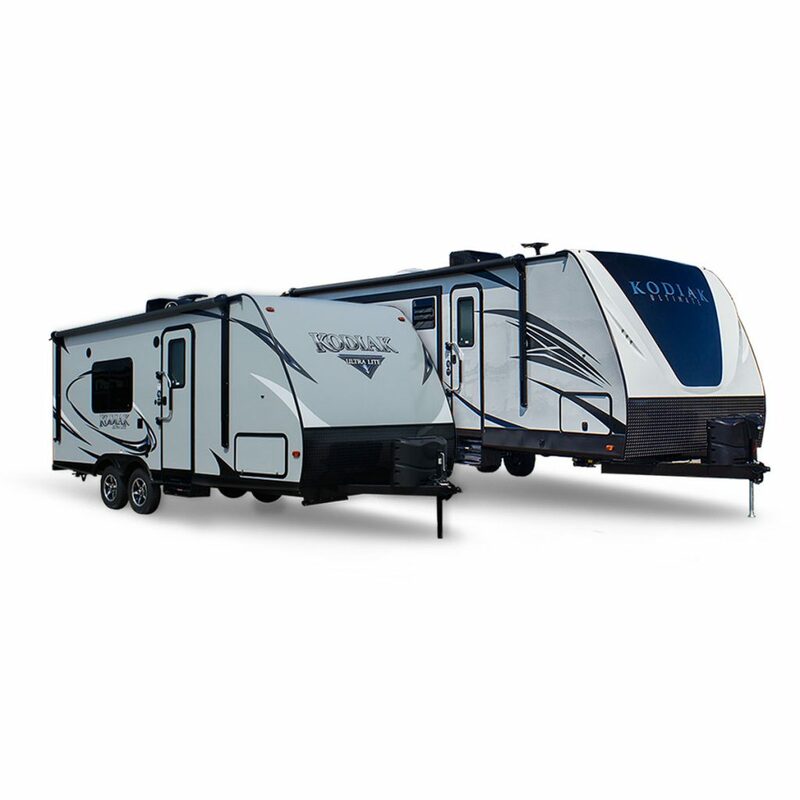 This trailer comes with a spacious dinette for you and your family to enjoy dinner or card games. Also, there's a fully loaded kitchen to appease hungry mouths on the road. The trailer comes with a full queen sized bed accompanied by night stands and has many convertible sleeping spaces that fits up to 9 people. Also, the living spaces comes with an entertainment center so you and your family can cozy up on a cold rainy day on the road. The bathroom is perfectly sized and keeps from making too many stops on long trips. We know you'll absolutely LOVE this travel trailer for your next road vacation. The Heartland Trail Runner has everything you need to make your adventure enjoyable. Have you been searching for the perfect way to take your home on the road? Look no further because the Forest River Wildwood Travel Trailer does exactly that, and more! This gorgeous travel trailer is equipped with solid wood cabinets, stainless steel, and other luxurious amenities so good you won't want to leave. This travel trailer is excellent for families and group vacations because of its immense spacious designs. With 21 different floor plans to choose from, you'll definitely find the right trailer that matches your family's needs. The trailer comes with a fully equipped master and bathroom so everybody can feel comfortable while traveling. In the end, you can't go wrong with this gorgeous travel trailer. We guarantee one of these immaculate floor plans will suit your family's needs. 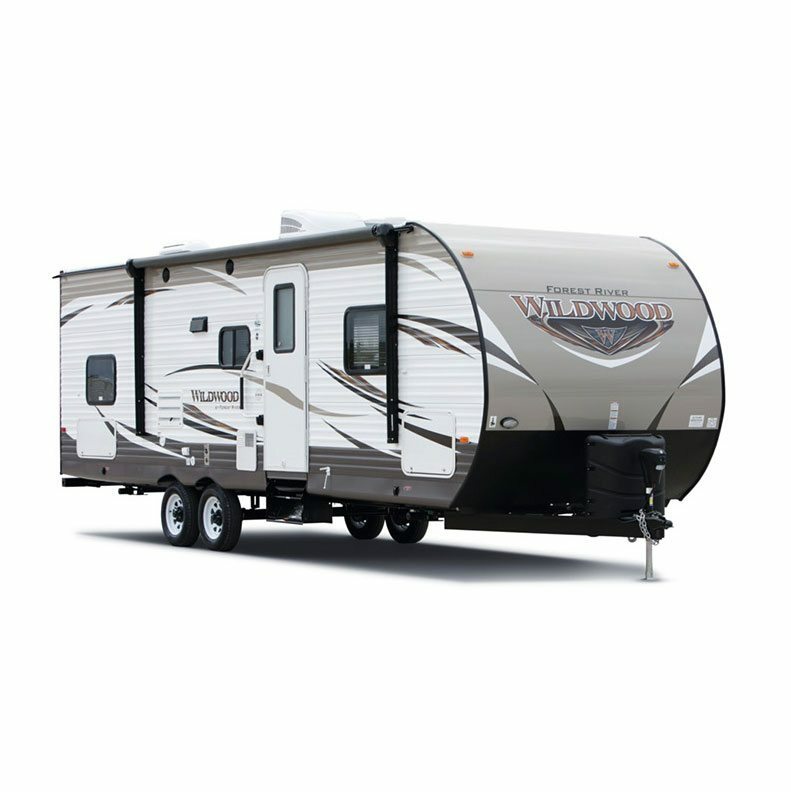 Road warriors, we have the perfect travel trailer for your family. The Dutchmen Kodiak is one of the best travel trailers that can accommodate everybody in the family on your next road ventures. Not only does this monster trailer have loads of space for you and your family to be separated, but it also has dual entry in case someone is hogging door space. There's even enough space to fit up to 10 people comfortably, so don't leave the dog at home. For those of you who love cooking, this travel trailer has one of the best kitchens of the bunch. Some floor plans even offer a cooking island in the kitchen area, so you can prep food while hanging out with the gang. 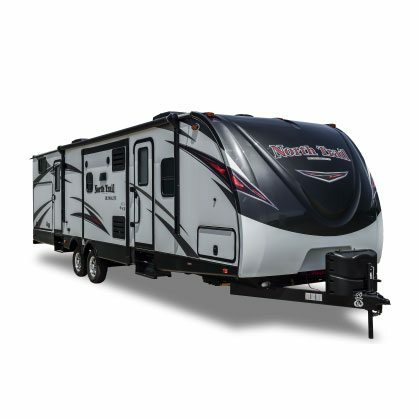 Ultimately, you're going to want to test drive this amazing trailer out because of its unique features and cool space. It really will be the perfect home away from home when you're out on the road. Want to make your next adventure fun, comfortable, affordable, and exciting? 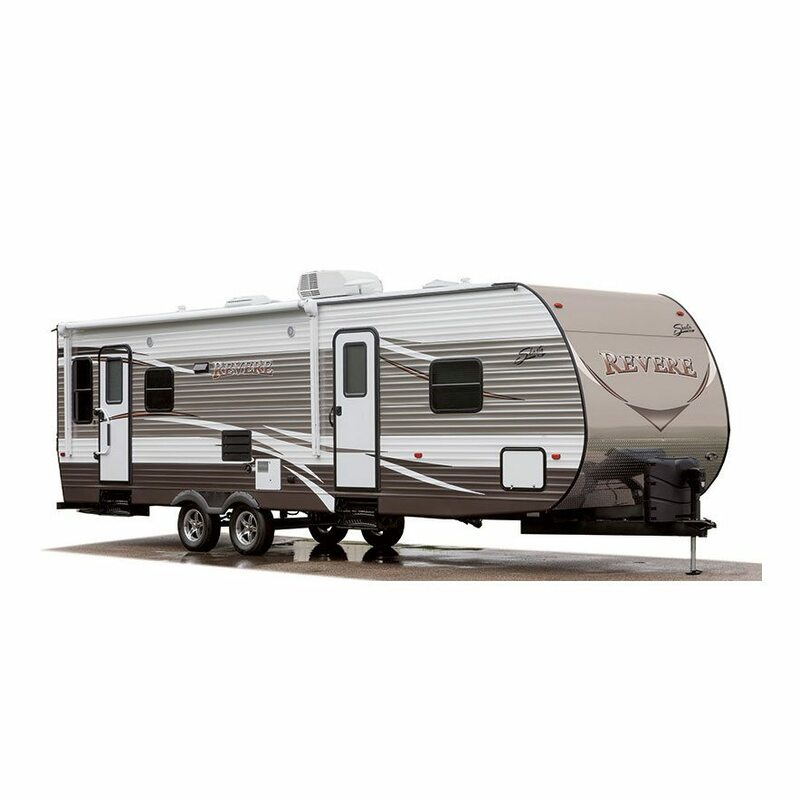 The Shasta Revere Travel Trailer is the perfect accommodation for you! With huge windows and plenty of storage space, this bright and spacious trailer will keep everybody in the family happy and entertained on your next road trip. Not only is the trailer spacious, but it also has many awesome features like the U-shaped dinette and gorgeous wooden floors. The interior was built residential style so you can bring your home on the road. The trailer can fit up to 10 guests comfortably, so if you want to bring friends or guests there will be no shortage of room. In the end, this trailer is an excellent and affordable way to travel on gravel. With hand integrated features like convertible furniture, residential style double bowl sinks, and wooden cabinets, this trailer will for sure make you feel at home on the road.